Trying to figure out what gear to purchase for your kids can be overwhelming. It's a very individual choice based on many factors – your child, your family needs (single or double stroller? ), and price point. We asked our mom.life moms to chime in on the topic of strollers and what they ultimately chose for their family. 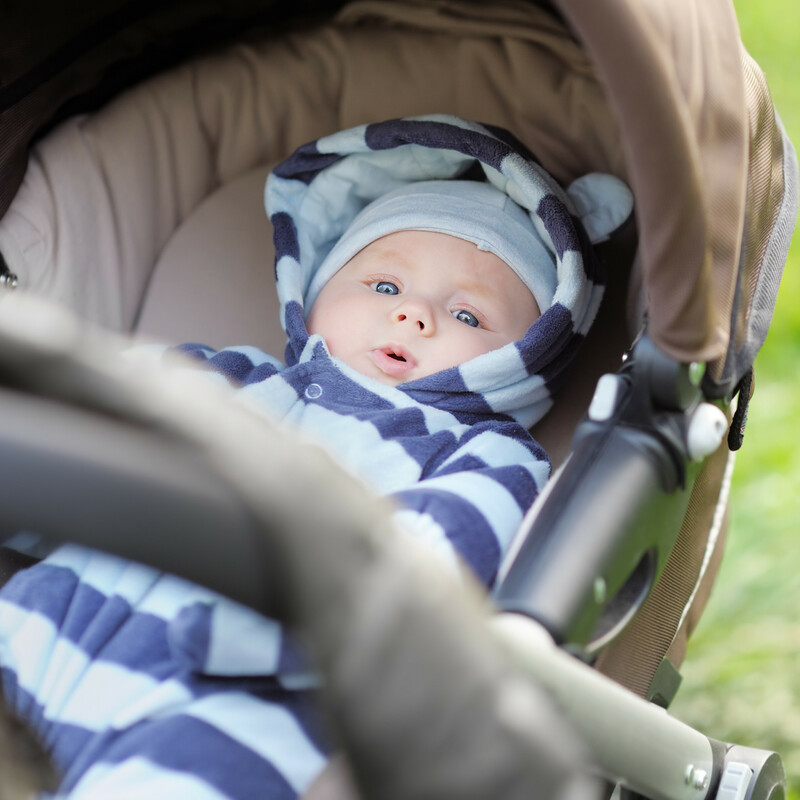 Below are the top 10 strollers that mom.life moms love. "Britax B-Agile 3 – BEST STROLLER EVER. One click everything. Meets both Euro and US safety standards. Lightweight, easy to navigate. Perfect for my family's needs. "I have two the Britax B-Agile and Britax B-Ready. I chose the B-Agile because it's super light weight and the B-Ready I bought because the under storage basket is huge and I wanted a European style stroller being that my 10 month old no longer likes being in the car seat unless we're in a vehicle." "I loooove my Chicco Cortina CX travel system. The stroller is great and I would recommend a Chicco Keyfit 30 carseat to anyone! "The Inglesina Trilogy – because it's 3 in 1 – bassinet, regular seat and a car seat goes with it." "Joovy Balloon because it's really light weight (we take it on plane trips etc.) and it has a really big sun canopy! "We bought a Jeep jogger stroller and love it!! It is gender neutral in black and green, handles really smoothly with an easy turn radius, has two cup holders, a phone compartment, storage space underneath, and collapses easily. It's compatible with 3 different manufacturers' infant seats." "We have a Baby Trend. The reviews on the car seat is what sold us so we ended up getting the whole system! Absolutely love it – so easy to open, put down, and push! "Bugaboo Donkey. I picked it because it has a bassinet and regular seat. It has a side basket and a bottom basket for extra storage and can easily be converted into a double stroller, all you have to do is buy another chair. It has a big sun canopy and its tires are made to also function as a jogger so it can go all terrain. "We have the Bugaboo Chameleon stroller. Very luxurious stroller and Ethan loves it. "I have an Evenflo SensorSafe travel system. I LOVE that it reminds me that baby is in the car when I turn the car off. I also LOVE that the head support actually cushions and supports my baby's head!" "I love my stroller. It's a Graco Sully. Has the stroller/car seat combo so I don't have to interrupt my baby's nap getting out of the car. It's lightweight and easy to clean.